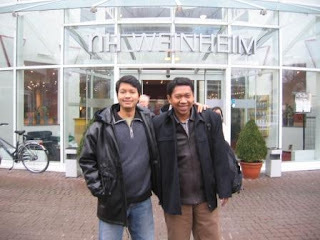 One of the hotel where I was staying at the European tour is NH Weinheim hotels. Located in the historic city of Weinheim, about 2 km from the city centre where we can discover the romantic old town with its picturesque narrow streets, historical buildings and many other attractions. The railway station is at 2 km and the International airport about 75 km. The NH Hotel in Weinheim is the ideal starting point for business meetings in Heidelberg, in the Mannheim/Ludwigshafen region. If You want to stay at NH Weinheim Hotel, don't forget to visit the fitness area equipped with sauna and solarium.